Steve Jones turns ordinary conferences and meetings into unforgettable experiences with a presentation that engages, entertains, and educates. Tapping into 30 years of experience in the music industry in the US, Canada, and the Caribbean, Steve tells backstage stories about legendary rock stars, today's biggest hit makers, and one-hit wonders. Point by point, Steve shows you how your business can get noticed, become famous, and turn into the "rock star" of your field. If you want to build a brand as consistent as AC/DC, as committed as U2, as unique as Kiss, and as honest as The Foo Fighters, you will want to hear Steve speak. Steve is the author of two popular business books, Brand Like a Rock Star and Start You Up. Steve is based in Toronto, Canada, and also oversees content and branding for 103 radio stations as part of the executive team at Stingray, a global music, media, and technology company. Order Brand Like A Rock Star now! Steve's debut book has become a cult favorite, used in boardrooms and classrooms as a "how to" guide to elevate your business to rock star status. Click here to order Brand Like a Rock Star now! Order Start You Up now! 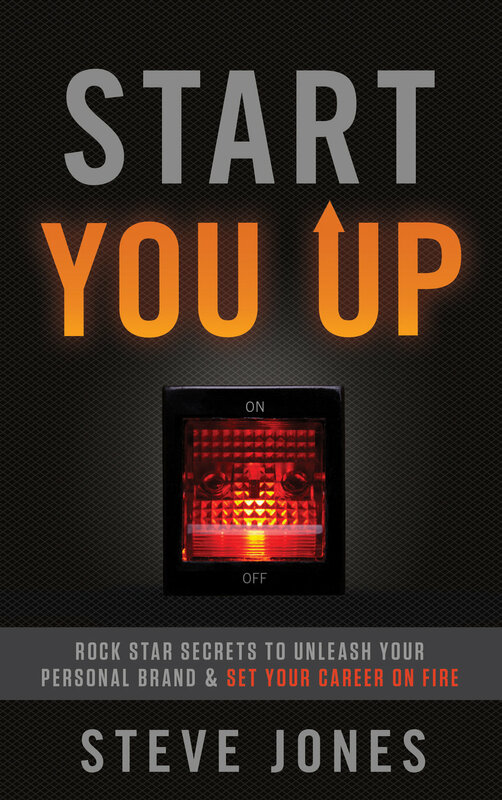 Steve's second book turns the rock star branding focus to the individual, showing you how to the use secrets of rock legends to set your career on fire. Learn how to differentiate yourself using the 5 P's of Personal Branding with Start You Up.